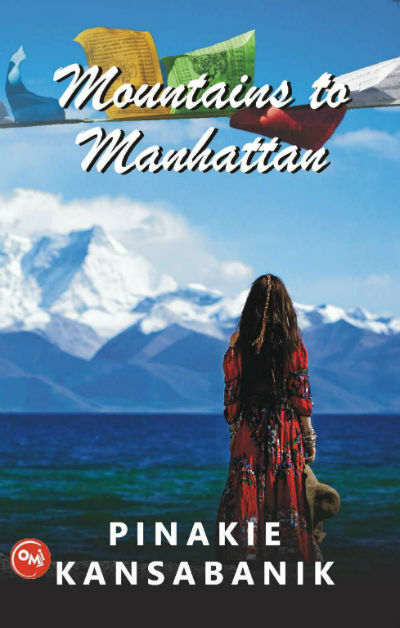 If you are looking for a book with a substance which explores the innocence of people living in tough situations with a tiny set of resources quite happily, then Mountains to Manhattan is a book which will appeal you for sure. While living in the comfort of our homes we often complain about many things. We, however, forget to think about those who are living in very tough situations. There are people who don’t have their own home or resources to fund the quality life style and education. How tough would the lives be for them? And what about the refugees? The situations are quite different for them. They live in a country which doesn’t consider them their own citizens, and, the pain of leaving the motherland is adding to their emotional woes. They live in a different land with a hope that some day they will get their own country and thus their own identity and the wait often proves to be very long. Often, the generations are passed in the hope to get their own country and eventually many of them lose the hope to return to their roots. This book is a story of one such girl who seeks her own identity and does her best (not always right) for getting some country to accept her as its own citizen. I will try to not to add spoilers (though it is not a suspense thriller) yet some of them are inevitable. It is the story of a girl who seeks her own identity. More importantly, she is looking for a country which can call her own. A country who consider her as its citizen and give her a passport. Years ago, due to China’s invasion and eventually take over to Tibet, The Dalai Lama, the spiritual leader of Tibet escaped and seek asylum in India. India has respected him and given him a place to live along with the permission. Along with the Dalai Lama, many citizens from Tibet also crossed the border of Tibet and entered into India. They all are given refuge in Leh and Ladakh area of the state of Kashmir. And a large number of people lived in Dharamsala (or Dharamshala) in Himachal Pradesh of India. Of course, they spread over in the country in various tiny groups too. But, these are some of the places where they live in bigger groups. Living in tents which they called houses, these refugees have their own livestock and limited resources when they’ve arrived. Eventually, the livestock got smaller and smaller and so does other resources. Ultimately they left their own religious stuff and a tiny set of original resources. And, a hope, a hope to return to their own country. India took care of them to a great extent and they are quite happy with the country. However, India, cannot declare them as Indian citizens and technically they are still refugees. Some of them worked in the Tibetan army where the pay scale is low, and at lower positions in Indian army. Even the schools are established for them and they are passing their days with more resources made available to them. The protagonist’s grandmother and parents believed for long that they would be able to see their homeland someday. Eventually, their hope started dieing. Even some of the Tibetan social workers tried to torch themselves in order to gain the World’s attention towards their problem. They were hopeful that China will consider the pressure from the World and it will help them regain their own country. The protagonist grows up in a young lady from a very small girl which she was in the beginning of the book. Her personal life, student life, family life, professional life, her attempts to gain the visa to a foreign country and getting a citizenship there, ultimately leads her to the USA. Her struggle doesn’t seem to end at the end of the book also, however, we see a ray of light and her target is almost about to achieve. Because life is not perfect. At least for those who are living a life of a refugee, so there cannot be a perfect end of the book. Pinkie touched a subject which people often are running away from. He, however, doesn’t want to create controversy and doesn’t try to market the book that way. He remains honest to the content throughout. What I like the most in the book is its first segment. The innocence of people living in small villages with limited resources, and the way they enjoy the life is explored pretty effectively here. It is good to see the relations between parent-child living in such circumstances. These days we don’t see villages and people living there explored so convincingly in books anymore. It is definitely meant to be a classic book. If I had to rate the book by just reading first 5 chapters, it is definitely going to be a 5 out of 5 stars. It is not that the book only explores the village life. The author has explored the psyche of children, youth, and elders quite well. While some of the children are happy living their life and wanted to live in the way the life adjust circumstances for them, there are some (like the protagonist) who want to make a mark and achieve something she/he believes in. The experiences of her studying in a hostel in the southern part of India, are not ideal, but realistic. talk to or share her thoughts. She was living in a void. We were living in our own new worlds in hostels and hardly cared about her condition. Anyway, her blood pressure had always been on the higher side. The way Tibetan people respect the family values and especially respect the parents will remind you of the great Indian culture too. At the same time, you see some differences in both the cultures. Being an advocate of Free Tibet movements, Pinakie experienced the Tibetan culture from very close and he writes about it authentically. The writing is interesting at the same time. Also, when you see how Austria, Germany, and the USA are explored in the book, you will understand that the author did good research work. The book contains some of the gems of writing as well. Come on! Dreams don’t die. Let’s try. I don’t say we will make it but what is the harm in trying. Dreams and thoughts soothe one but life wasn’t a dream. Who needed shoes when walking barefoot felt so blissful? The protagonist and her family’s thirst for gaining the identity is represented by the following sentence very effectively. When will it be that we will be acknowledged ethnically all over the world? One more thing I like is the pure friendship between the protagonist and her former boss, Mr. Neeraj. Usually, we see the angle of love enter in that arena when people of opposite genders are associated. But very much like Harry and Hermione’s friendship they two also share a genuine friendship. He would be happy not for himself but for me and that was altruistic happiness. And through the following lines, the protagonist represents the fact of life. We cannot gain anything without putting in efforts for the same. Do you remember when I had told you that until and unless I take up your cause as my mission, nothing was going to change. There are so many more things we can talk about this book. It represents gender equality, love, passion, hardwork, inspiration and much more. There are some spelling mistakes we found in the book. For example “Ladakh” is spelled at “Ladhak” at places. All the cooking or boiling water was _____ by burning dried yak dung. (The above sentence is missing the word “done” where I left blank space). Also, the chapter where the protagonist and her husband-to-be celebrates the birthday explores cultural beliefs and mindset. There are some places where the pace is affected and you may definitely expect a concrete ending of the book. Overall a nice book which is written with genuine intentions and not for the sake of writing. It starts in a fantastic way, slows down at places, and lacks the definite end, but is overall a great package. The way various cultures are represented shows the research work done by the author for the book.